If you have been arrested for a DUI, answering these questions can be helpful to getting your defense started, our Boulder DUI attorneys explain. Here’s why. Compiling helpful information for a DUI attorney and a future DUI defense case. To this end, below are some important questions to ask yourself (and to write down the answers to) following a DUI arrest. Consider bringing your answers with you when consulting a DUI defense attorney, as this information can be pivotal to determining your best defense options – and to getting your defense case started ASAP. Where and when was I stopped for suspicion of a DUI? – Try to document the exact location of the DUI stop, as well as the time and day/date on which you were stopped. What happened immediately before the DUI stop? – In particular, were you violating any traffic laws before you were pulled over? Or was there a reason that you were aware of that triggered the traffic stop? Did the officer provide an explanation of why I was pulled over? – This is important, as the officer’s explanation may be his or her probable cause for the stop. If you were not informed by the officer of why you were stopped and the probable cause is not included in the police report, this could be grounds to get the charges dropped (due to lack of probable cause for the stop). What did the officer ask during the initial phase of the DUI stop (prior to field sobriety testing)? – Generally, traffic cops will ask drivers where they were coming from and/or going to. They may ask other questions, however. Do your best to document what the questions (and your answers were) during the initial phase of the traffic stop. What were the interactions with the officer like? – Do you remember having difficulty speaking to the officer? Were you polite and compliant? Or was there some type of aggressive behavior or altercation? Did I submit to field sobriety testing? – If so, note the types of tests administered and how you believe you performed on them. Did I submit to BAC testing? – If so, note the type of test administered. What occurred when the officer decided to place arrest me? – Did you resist arrest? Were you read your Miranda rights? 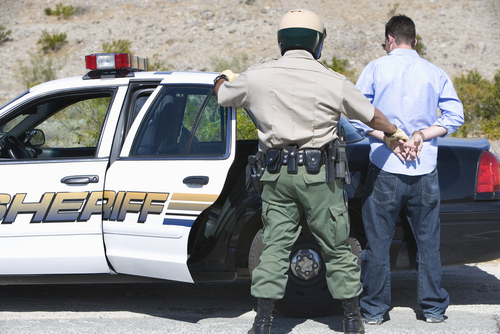 Be sure to include any specific aspects of the arrest that may be noteworthy. Did I make any statements while in police custody? – If so, note the nature of your statements. Did I ask for an attorney? – If so, note officers’ reaction to your request. Have you or a loved one been charged with a DUI? If so, the Adams County and Boulder DUI attorneys at Peter Loyd Weber & Associates are ready to immediately start defending you.